This new technology promises to provide speeds up to 40 Gbps to a wide range of devices, including USB-C peripherals. Intel unveiled Thunderbolt 3 yesterday at Computex 2015 in Taipei, thus "marking the biggest advancement since the technology's inception." The third iteration of this fast connection can handle up to 40 Gbps, doubling the speed of video bandwidth and four times the data supported by any cable currently available. Intel Mobility Client Platforms' general manager Navin Shenoy describes this connectivity solution as "computer port nirvana" due to its capability to deliver two 4K displays, fast data, as well as quick charging. He also highlighted the fact that Thunderbolt 3 "fulfills the promise of USB-C for single-cable docking and so much more." Thunderbolt 3 brings Thunderbolt, USB, DisplayPort, and power to USB-C connectors, also maintaining compatibility with existing USB devices and cables. It provides up to 100 W for charging notebooks and 15 W to bus-powered devices, and much more. 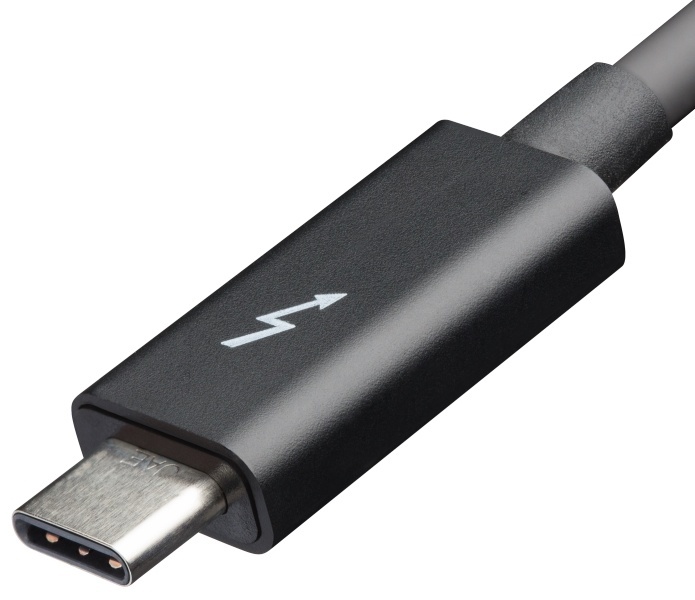 According to Intel, first Thunderbolt 3 devices should hit the market before the end of 2015, with production expected to ramp up in 2016.